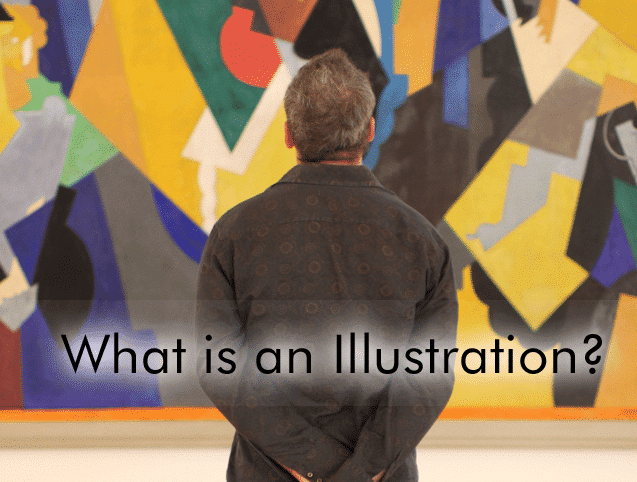 You may be wondering what is an Illustration , or what exactly does an illustrator do. Let us gain further knowledge on this term. We shall also delve in to understanding the scope of this magnificent field. An illustration is a visual representation of an idea, concept, real or imaginative objects and/or scenes. These could be in the form of a drawing or a painting. They may also be digitally created using a computer. A photograph too is considered as an illustration if its purpose is to elucidate an idea or a concept. More answers on the question: ‘what is an Illustration' to come. Illustrations are one of the most powerful tools in the field of communication design. An Illustrator is a person who creates an illustration using a digital or a non-digital medium. Mostly, Digital Illustrators are commercial artists with sound knowledge of commonly used computer graphic applications such as Adobe Photoshop, Illustrator or CorelDraw or downloaded from sites such as Vectorfresh. Illustrations may be used alongside content to educate the viewer about a particular topic. Drawings and Diagrams help explain complex objects and systems. Visuals aid learning and help the reader gain a better understand of the subject matter. Moreover, some subjects may be impossible to teach without the use of illustrations. For instance, in biology, the human nervous system can only be explained and understood clearly with the help of a diagram. Text alone would not suffice to explain the complex structure of the nervous system, would it? Technical illustration or drawings are used in the fields of Engineering, Medical, Business and many such professions where equipment, systems and models are used. Complex systems can be explained with less difficulty with the use of drawings. Graphs and diagrams can be used to explain complex models in business, which assist the learner in understanding abstract concepts. Maps too are a good example of technical illustrations which give the viewer more information about specific geographical locations. Cartoons for a long time have been a successful tool in communication, where illustrations carry wit and humor to engage and inspire the reader or viewer. Cartoons may or may not be presented along with text to elucidate an idea. Advertising and marketing in business have given rise to a new field in illustrations known as commercial arts. Commercial artists create illustrations to impress, educate and further entice the viewer to buy the product or service. Newspaper advertisements, billboards, television ads, brochures, catalogues and online advertisements establish the importance of illustrations in the field of marketing. Illustrations need not be educative at all times. They may be created for aesthetic value alone and may not be used to educate a person. They may be created to add visual value alone. Computers have simplified creation of Illustrations to a very large extent. It is now possible to create illustrations with much less effort and time. Furthermore, these digitally created illustrations can be edited and manipulated effortlessly whenever required, which may not be the case in non-digital ones, where one would need to create the Illustration from scratch. Illustrations created using computers can also replicate hand drawn illustrations by using tools and techniques offered by certain applications. Adobe Photoshop is a popular software that is used to create photo realistic effects in just a matter of minutes. An Illustrator may or may not use the computer solely to produce illustrations. An initial sketch or painting can be created on paper and later scanned and opened in a software. It may later be colored, enhanced and finished, using tools and options provided by the software. Computers have influenced the field of illustration to such an extent, that most illustrators these days are only associated with the field of computer graphics and digital illustration. Illustrations created using Vector Applications has given rise to a new field called Vector Arts. A vector artist uses computer applications such as Adobe Illustrator or CorelDRAW to produce illustrations. I hope I’ve been able to throw some light on this wonderful topic of Illustration. If you are keen on learning more about Illustrations and its related fields, keep yourself posted by subscribing to our newsletter. Please feel free to comment.